Daveswordsofwisdom.com: A pet is not just for Christmas. A pet is not just for Christmas. Remember, I'm not just for Christmas - I'm for life. Every year, thousands of animals are given as pets and then discarded, neglected and left to perish. 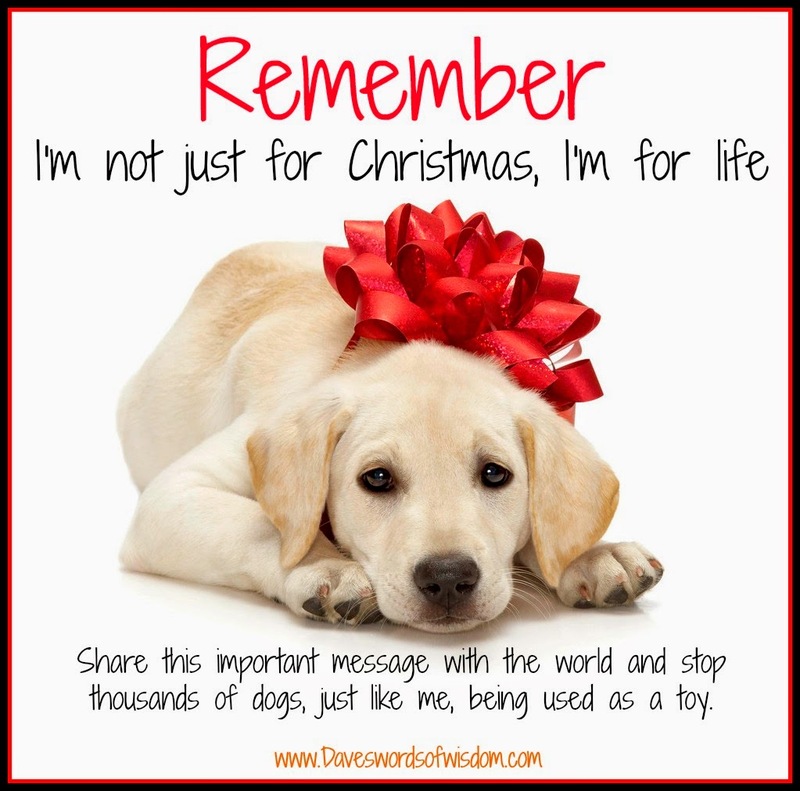 Please share this important message with the world and help stop thousands of dogs, and other animals, being used as a toy.